Nelson Eddy’s friend K.T. Ernshaw publishes 2nd book! 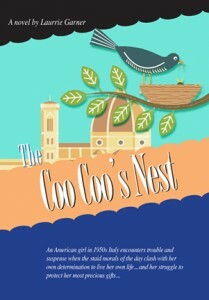 This week – under her real name, she published her second novel, The Coo Coo’s Nest. I knew nothing about the story until I read the book. And yes, this book also thinly disguises the main character. Plus there are other famous folks mentioned in the book under their actual names that she has met over the years. I personally was very moved by the new book and offered to write a short review to be included on the back cover. I think you will enjoy reading it. She will be 92 this year and figured her days of attending the LA club meetings was ending. But due to The Coo Coo’s Nest being published this week, I asked her if she would attend just this meeting and sign books. She agreed. In addition, To Love Again has been updated and re-released in a new edition. Our club member Don Schumann did the wonderful book covers for both titles. 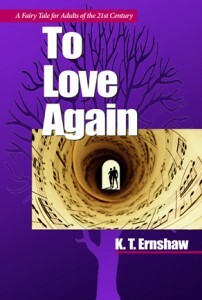 An insider tip: you will most surely recognize the Nelson Eddy silhouette on the new cover artwork of To Love Again. Don tells me that he used Nelson’s likeness from the old Nelson Eddy paper dolls! After this weekend, any books ordered will be shipped normally, not autographed. I am so thrilled that we are able to include this book signing into our 2013 Birthday Bash event… and by the way, her real name is Laurrie Garner. PS: Click on the photos below to order books. Above, author K.T. Ernshaw was a longtime confidant of Nelson Eddy and had firsthand knowledge of his troubled affair with Jeanette MacDonald in the 1940s. Ms. Ernshaw has confirmed she will be a guest speaker on the Valentines Week 2009 cruise (health permitting). If you are interested in meeting someone who knew exactly what was going on, and who will speak frankly about it – don’t miss your chance to ask questions. As of this date, Carnival Cruises has not raised the price of our cabins, so reserve your room now at the current rate! Feb 11 (Wed) Lecture/Film 10:00 – 1:00 in the London Room. Film: Rose Marie. A SCANDALOUS AFFAIR show is 4:00 – 6:00 in the Club Rio Lounge (open to the public). Book and CD/Signing/Sale is 8:00 to 9:30. Dinners for the group are set for 6:00 PM each night. We have filled the first block of rooms and have a few more now…so contact High C Travel if you are interested…full payment is not due until late November and a small deposit will hold your room. Contact info: 212-874-1670 or email them at highctravel@yahoo.com. If you are joining us on our cruise and have PREVIOUSLY SAILED ON A CARNIVAL CRUISE, you should call Carnival and get your cruise ID number. Then call or email High C Travel with the information. It is possible that Carnival will give you a free cabin upgrade. This is not a certainty but it doesn’t hurt to ask! Note: you cannot book a room for the special Mac/Eddy group through Carnival Cruises – you must book through High C Travel. We are also trying to find roommates for a couple of folks. If you are interested in going on the cruise but don’t have someone to go with, contact High C Travel to see if they can help match you up. Also, if you are wheelchair or scooter-bound, they do have handicapped-friendly rooms, so request it. PS: We have chosen Jeanette and Nelson’s first three films to screen, plus some rare clips and TV shorts. If you are joining us on the cruise and have any other film preferences, please let us know.